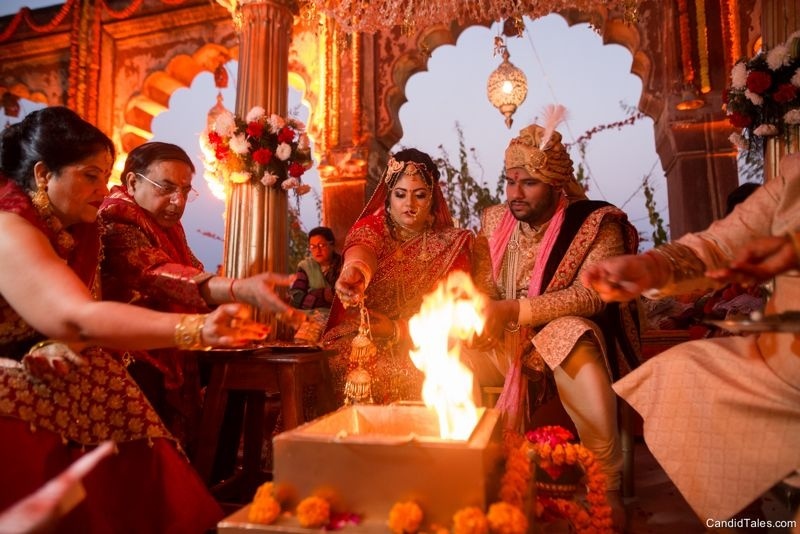 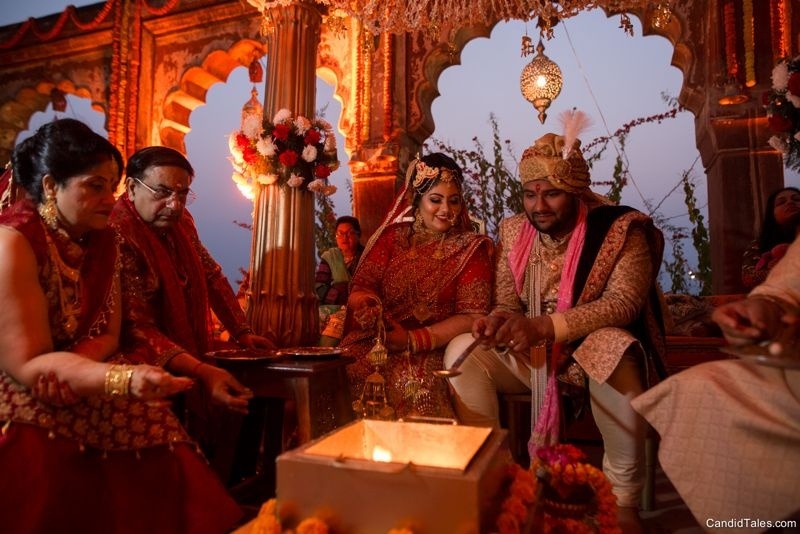 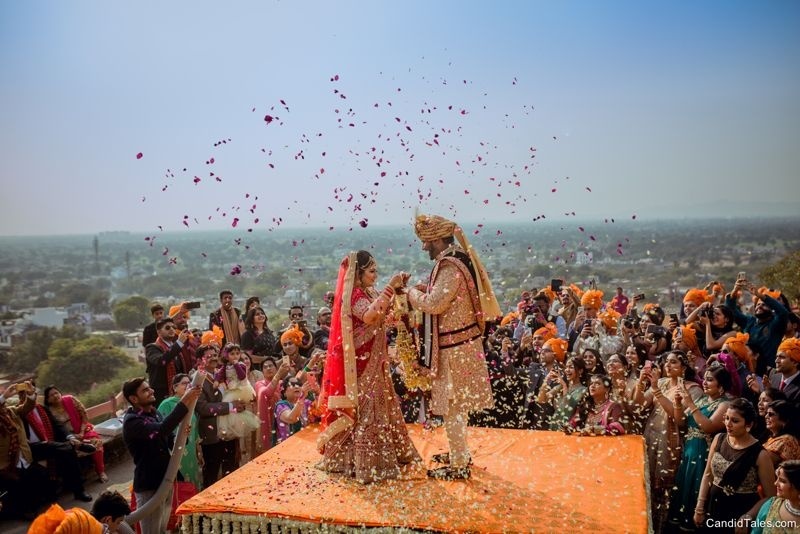 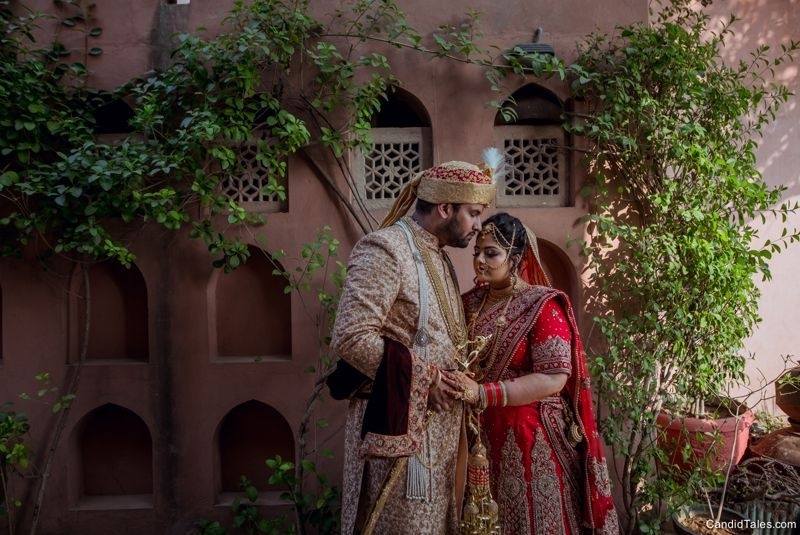 Savira and Saurabh's 1.5 year long relationship led to their beautiful beautiful wedding and we're in love with all the wonderful details. 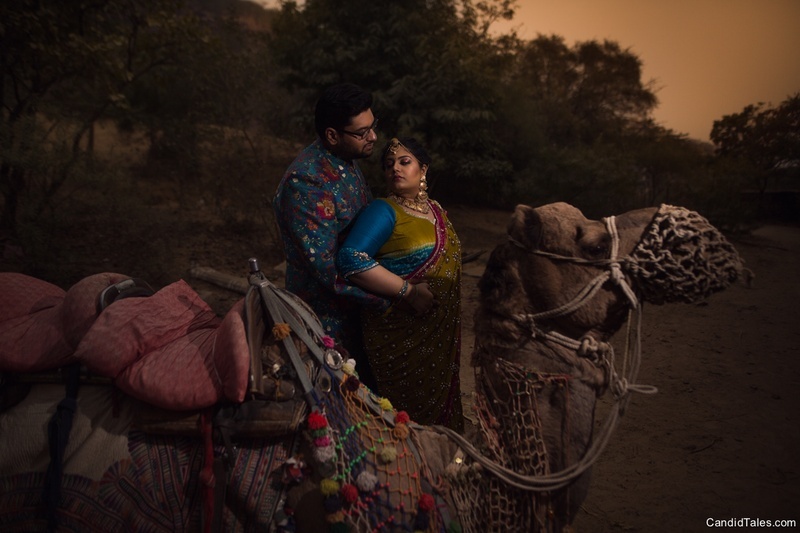 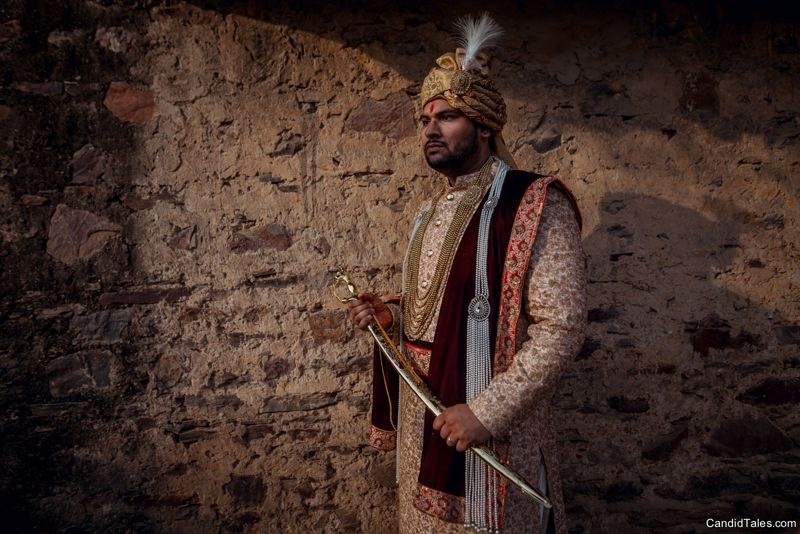 Their pre-wedding shoot was subtle, serene and filled with emotions. 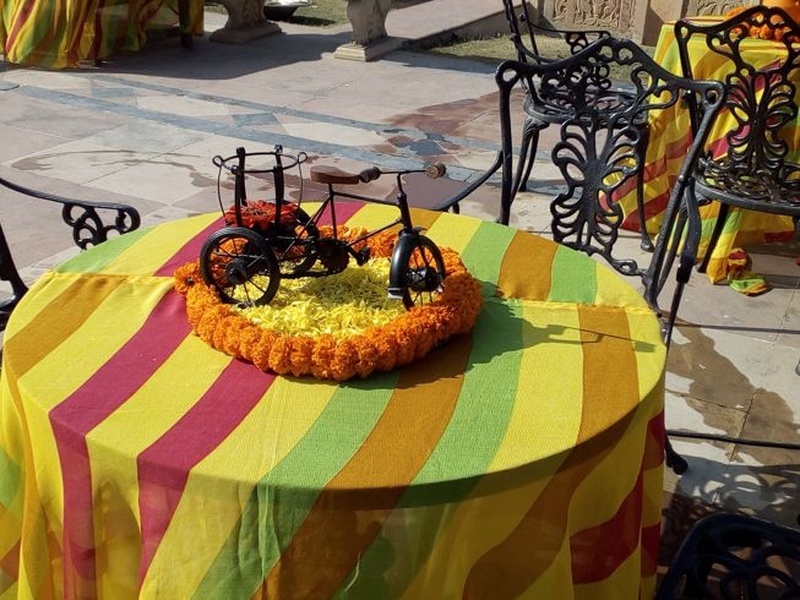 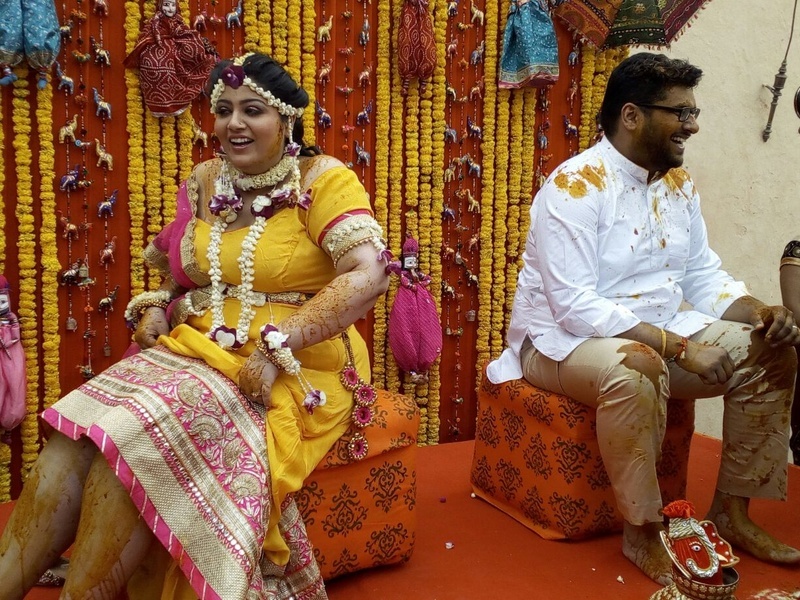 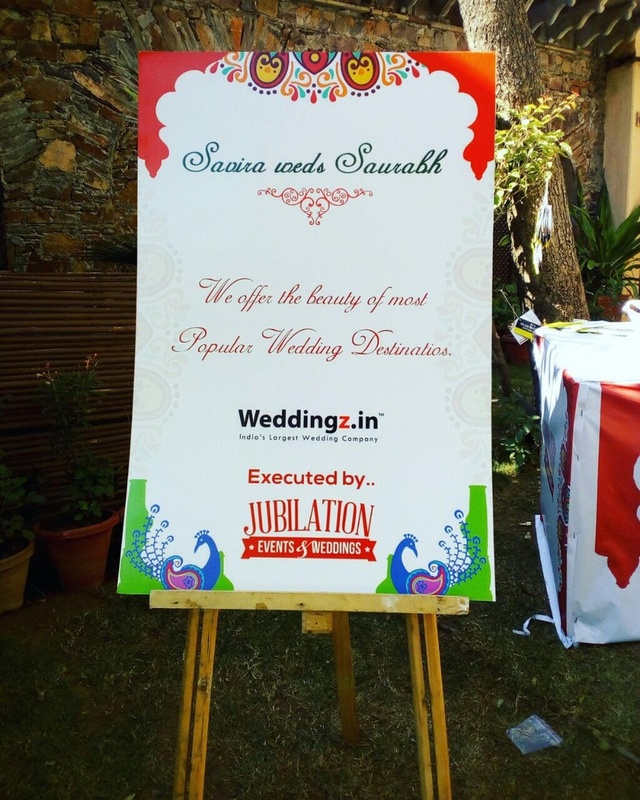 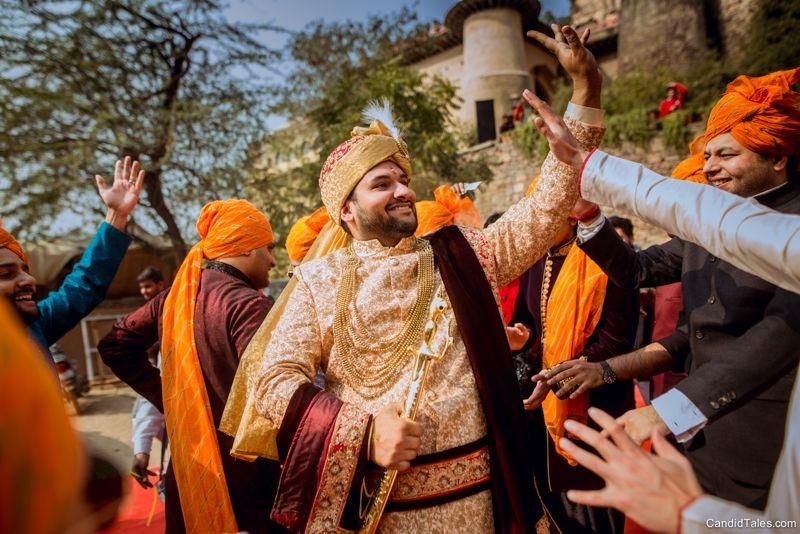 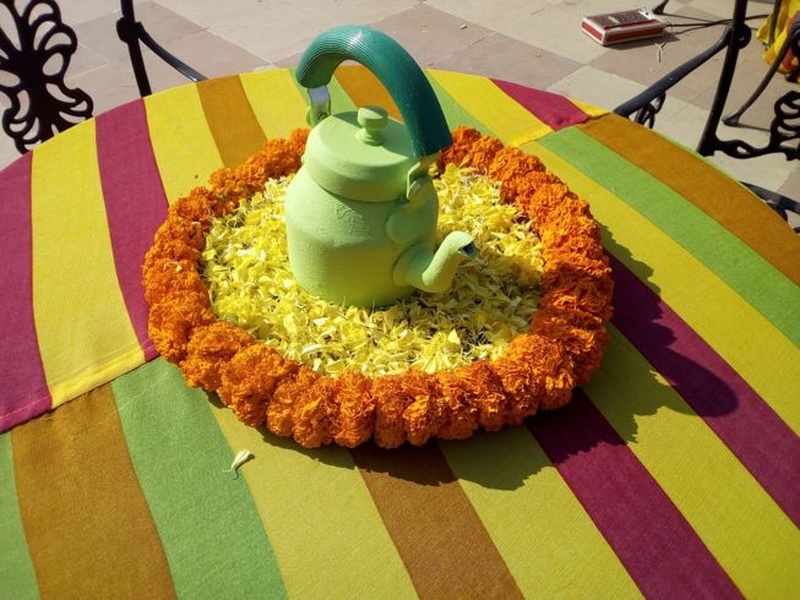 Savira's mehndi day was an amalgamation of a number of bright, colourful elements. 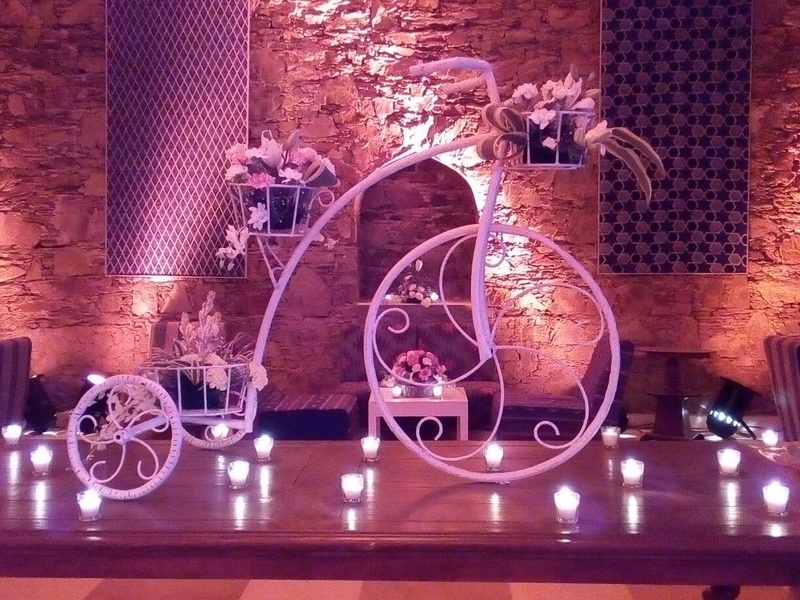 The quirky teapot and cycle centrepieces were simply too cute! 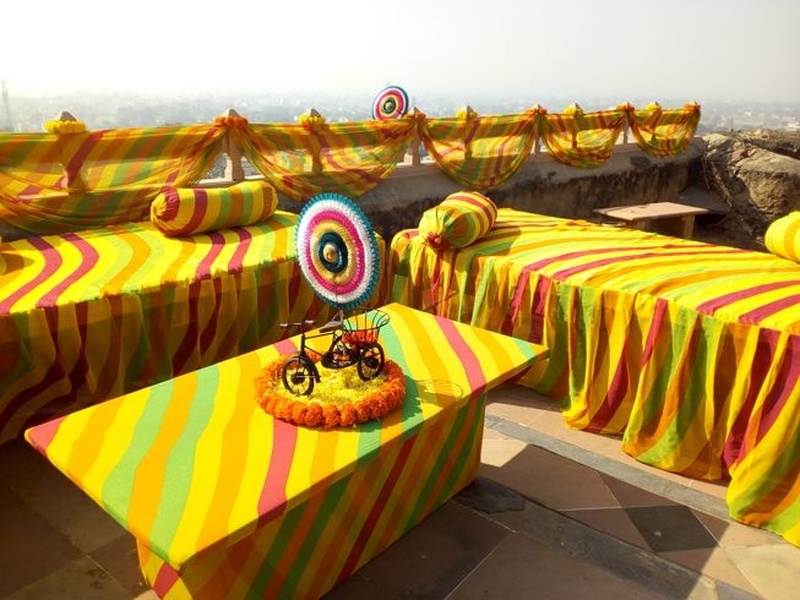 The wedding that followed was just as vibrant. 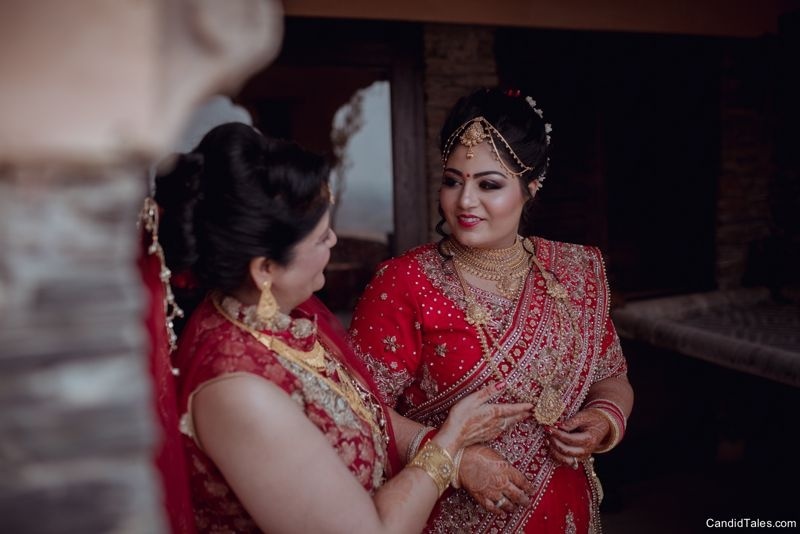 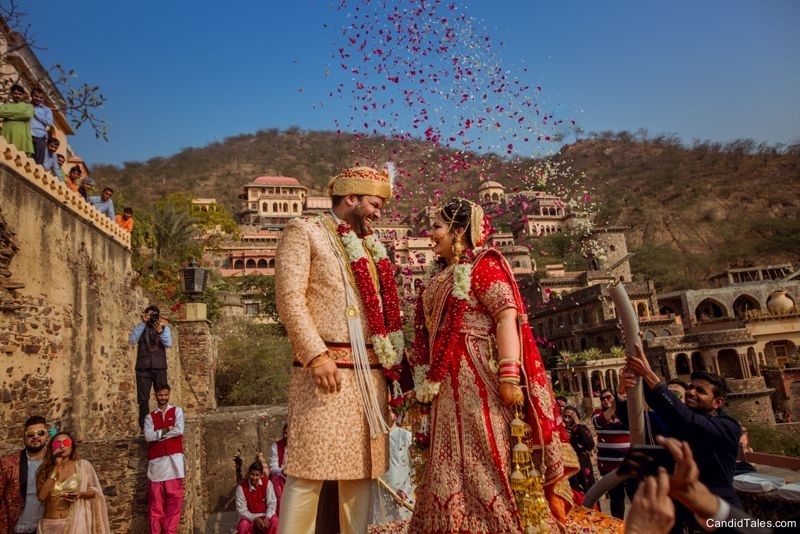 The bride looked stunning in a classic red lehenga-saree while her groom opted for an elegant sherwani. 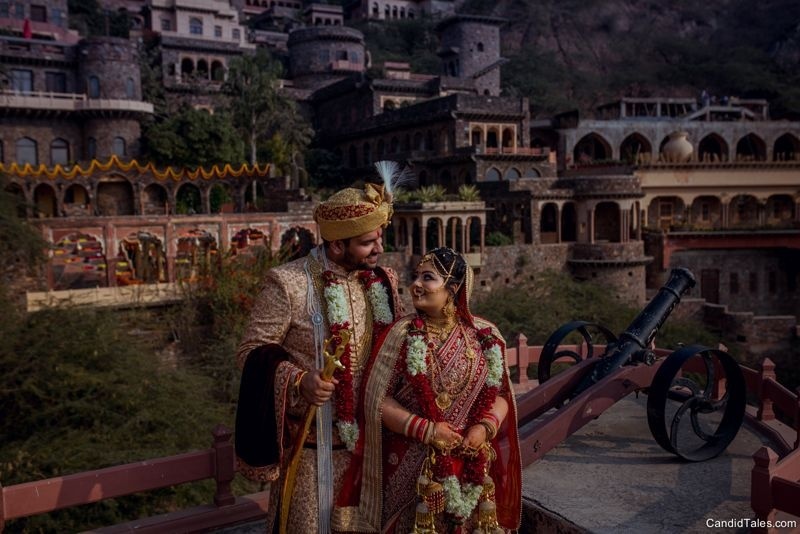 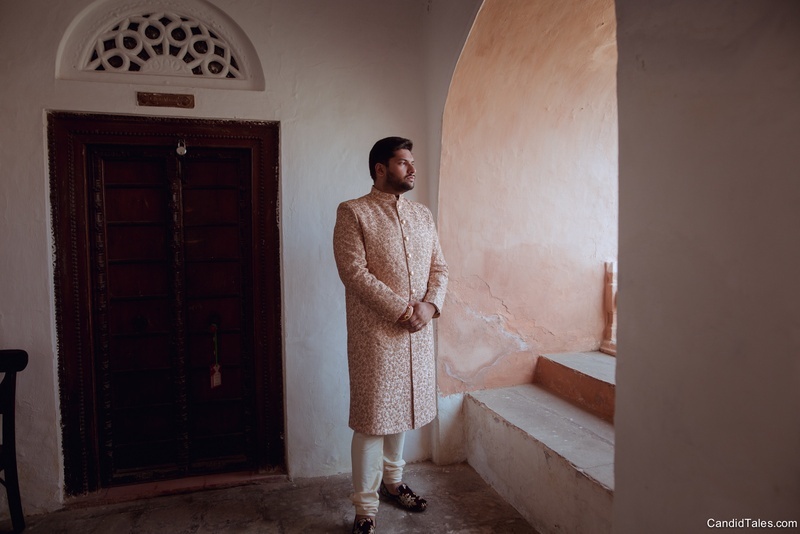 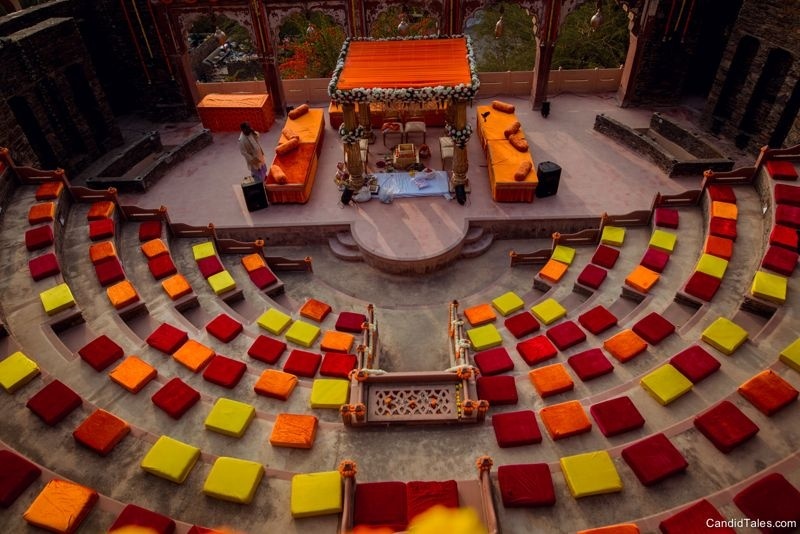 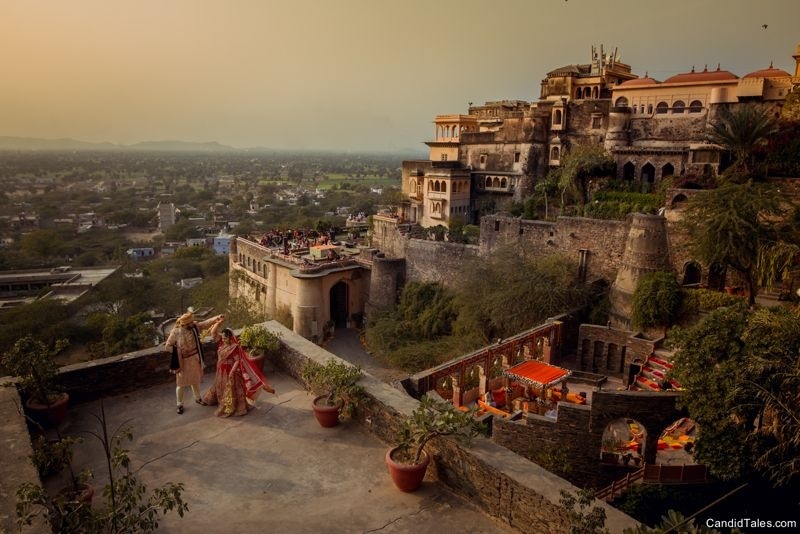 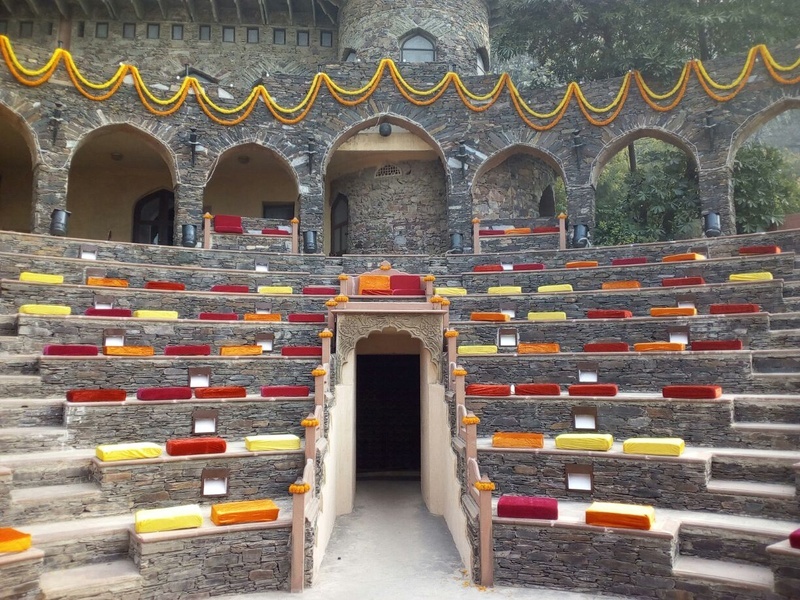 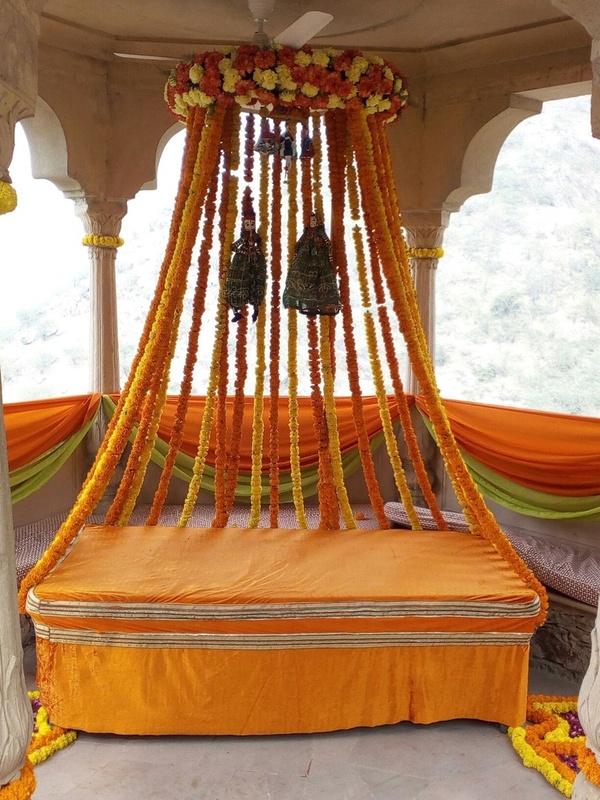 We found Neemrana fort looking like a colourful palace of joy, love and happiness! 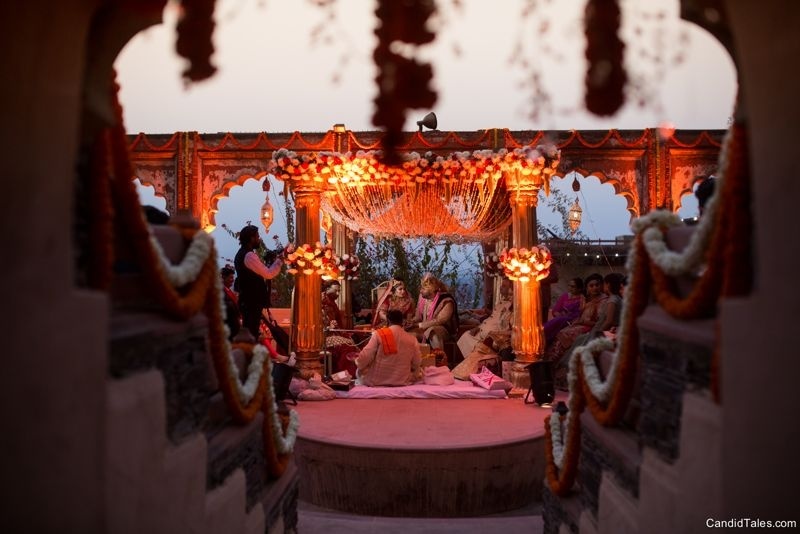 All in all, this wedding was filled bundles of emotion and tons of prettiness!